The entrepreneurial opportunities outside the confines of WesBell include researching new technological automation, supporting the added population, acting on changes to government policy changes and keeping an eye on debt as interest rates increase. WesBell cannot control advances in technology that other companies are inventing and innovating, so they need to continuously research the new equipment and computer systems that will help them compete in the contract manufacturing industry. Schleuniger and Komax are both companies that innovate and manufacture wire processing machines that WesBell has purchased in the past. Those are two great companies to follow as they innovate new equipment that could change the industry at any given time. Even if WesBell was up to date with the latest technology and equipment, tomorrow is a new day that could change everything. 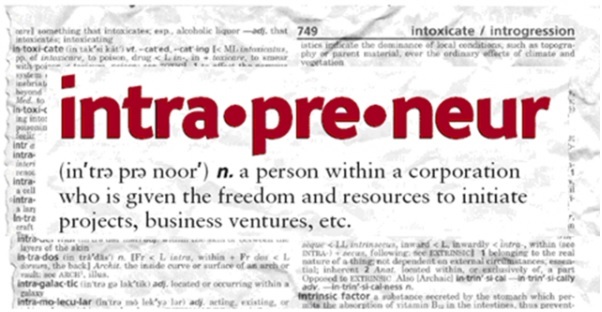 There are many opportunities for intrapreneurship at WesBell because it's a smaller company with only 30 employees. 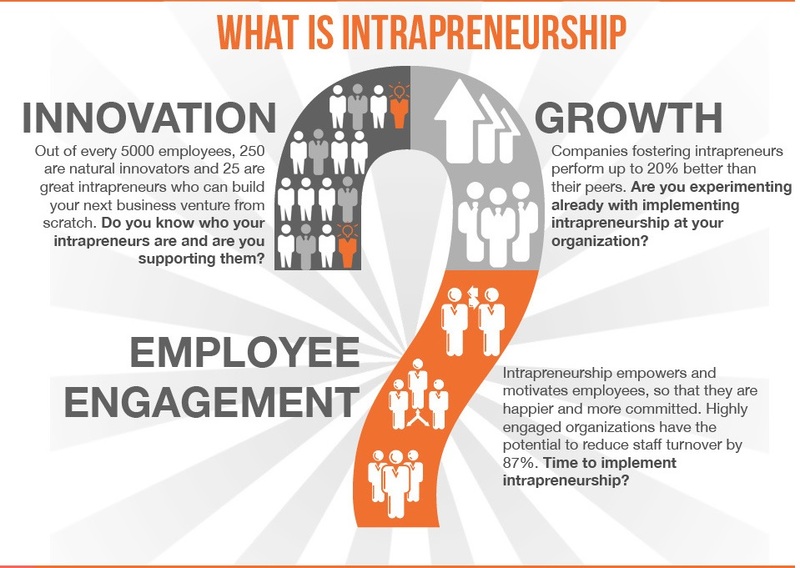 "Given the implicit choice between intrapreneurship and entrepreneurship, there are several ways that organizational size and age can structure these alternative career opportunities. There is compelling evidence suggesting that as firms grow and mature, they expose their workers to increasingly attractive and feasible opportunities for new venture formation inside an organization. (Kacperczyk, 2012)"
The population is growing exponentially which means housing needs to grow relatively in order for everyone to have a place to live. Whether it's residential homes, multi-units, apartment buildings or ocean front penthouses, copper wire is necessary to provide electricity throughout. Supply and demand play a large part in the current price of copper, which travels throughout the manufacturing process and distribution chains quickly. Understanding, watching and reacting to the current price of copper and the supply and demand factors, will help WesBell determine when to purchase, grow and possibly scrap inventory. Perhaps, when prices and demand are low, along with interest rates, WesBell could use a Line of Credit to purchase some copper wire in bulk in anticipation for demand increases later. Also, it's important for WesBell to understand that when the increased population increases demand, it may not relate to their marketing efforts, so it's important to understand the difference. The government writes new policies each year that relate to the health of the environment and people, which can also affect the copper wire industry. For instance, RoHS and REACH are standards that stop hazardous metals from being used such as lead and metals from unapproved foreign countries. Those policies were implement years ago so most of WesBell's customers require, at the minimum, a RoHS and REACH approved tag, and sometimes a certificate from the manufacturer. During the transition of these policies, current inventory can be wasted if it doesn't have the approvals in which the customer requires. Keeping an eye on debt is very important and can be looked at from a few different angles. First, any level of debt that cannot be paid off within 5 years is a risk to the company because interest rates are uncontrollable, and could severely increase the cost of debt. With interest rates at an all-time low in 2016 it can be tempting to take on cheap debt to support new investments, however the rates cannot go much lower which only leaves one way for them to go. Another way of looking at debt is to keep a standard ratio of Assets to Liabilities (sat 50%). The amount of risk is lower dramatically when liabilities are only half of the total depreciated assets. An example, a home (100%) with a loan (25%) wouldn't be at a high risk if they took out a second mortgage for another 25% because they could simply liquidate in the positive. Therefore, the amount of time it takes to pay off the total debt of the company is less concerning when the ratio of assets to liabilities is under 50%. No one can control or foresee future interest rates so strong accounting initiatives and risk management will stop the company from getting into trouble with the possibility of increased cost of debt. 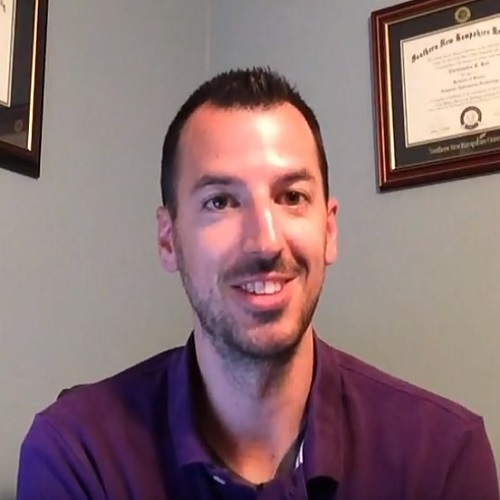 One entrepreneurial opportunity WesBell should assess in more depth is how to continuously research the latest technology so that they can automate manual processes and keep up with their competition. "Rapid development of mechanization and automation of production over the last century was to a large extent driven by the human desire to reduce the share of manual labor and thus improve the productivity of industrial facilities. (Aristova, n.d.)" This is a viable opportunity because technology is not only necessary to compete in most industries in 2016, but there's a need to continuously update as new technology emerges. In other words, WesBell only has 30 employees so they can't possibly afford the technology that Anixter, a multibillion dollar competitor, has, however WesBell manages to still compete in the industry. In order to grow WesBell needs to review and update technology so that they can increase their level of competition instead of remaining stagnant with the current. Earnest & Associates created the ERP distribution software that WesBell uses to manage inventory, sales, invoicing, purchasing and accounting. The database system also has a CRM (Customer Relationship Management) system that helps the sales people stay in touch with their customers and multiple contacts at each company. In addition to the RDBMS software that WesBell uses they may also soon need to invest in a production module attached to it. There needs to be a strategy of using the new technology to create more profits or lower expenses or else it won't be worth the cost. "Firms spend significant sums of money on information technology (IT) resources, yet they are often challenged in developing appropriate strategies to direct these resources to realize business value. (Mithas, 2016)" Most of the products are sold as they arrive, however there are also kits, or bill of materials, that use multiple inventory items, multiple processes and multiple stations/equipment to complete. It would be nice to enter a production order with all of the materials, processes and equipment on the production ticket, along with the amount of time each station and person will be occupied. Of course, all of this would have to be attached to a calendar in order to create a complete production schedule that everyone in the company could view and use to their own benefit. However, WesBell doesn't have to reinvent the wheel, they simply need to research different types of software that companies offer in order to help their business grow to the next level. Some key trends affecting the global business environment of contract manufacturing are environmental resource concerns, changes in government, copper as a commodity and the desire for a wireless world. Companies in the industry, such as Alpha Wire, have branded new wire insulation products that are manufactured with recycled materials and biodegradable. Some copper wire goes to waste and needs to meet the IEEE (Institute of Electronic and Electrical Engineers) waste management standards. The brand of wire is called EcoWire® and EcoWire Plus® and it's slowly taken hold within the industry over the last few years. The president-elect Donald Trump has been discussing huge changes in government policy and tax laws that will affect most industries whether people agree with him or not. He's hiring people that haven't been in politics, discussing the fact that he wants to lower taxes dramatically and wants to put a very high tax on products made by American companies in foreign countries. As a contract manufacturer, WesBell could see additional business if Trump's plan to bring manual labor back to the US works, but the important thing is to recognize changes as they develop. In 8 years there will be many more changes that WesBell will have to consider as the government changes, most likely in different ways. WesBell had already considered starting a second location in southern California which is becoming more interesting as Trump discusses his plans to bring manufacturing work from Mexico to the US. Not only will they be close to the border they will also have twice the space, twice the equipment and half the transit time for shipments across the country. Between the years of 2008 and 2012 copper as a commodity spiked from about $2.00 per pound to almost $5.00 per pound and disrupted the industry because prices were changing on a daily basis. By the time copper got close to $5.00 per pound, Aluminum products began taking the place of copper as a cheaper and lighter alternative. Once Aluminum became more popular it lowered the demand for copper wire while the industry demand was lowering as well, which together brought the price back down to $2.00 per pound. Supply and demand affects interest rates, stock prices, housing, products and commodities, so it's important for WesBell to consider when purchasing and pricing products. For example, as the price of copper increases big distributors begin to have low cost inventory that becomes more attractive than buying direct from the manufacturer. Taking advantage of these opportunities can increase margins for certain products. Copper wire provides most of the electricity in the world but it can get annoying to have wires all over the place, so there's a trend of trying to hide the wires and create wireless technology such as WiFi for phones and Internet. Typically, there are wires behind the scenes when a device is called wireless, so it wouldn't put WesBell out of business. For instance, solar panels are becoming very popular for replacing home furnaces, but the addition of copper cables to install solar panels was added into the copper wire market. WesBell needs to notice when the market brings new products and become knowledgeable in the new industry. Customers like to discuss products with people that can quickly answer difficult questions and it develops trust, so it will be an important part of growth over the next 10 years. These trends will impact the development of WesBell's entrepreneurial and intrapreneurial opportunities because, for instance, government policies related to environmental resources could impact the products that they have purchased for many years. Future interest rates could impact the investment dollars spent on new technology, automation and a second location. The price of copper could impact inventory levels and the desire for a wireless world would impact the products that they offer. As the trends affect the opportunities for WesBell they need to adapt in order to stay competitive. The world is trending towards preserving our environmental resources, so when environmentally friendly products come to market it would be wise for WesBell to use them. They should also market to the public that they are "going green" with the trends and their customers will appreciate it. Alpha Wire has created Alpha EcoWire as a "going green" initiative so it's important that WesBell offers this product to their customers. Competitors of Alpha Wire will soon have similar products and distributors will soon stock the products. EcoWire and other environmentally friendly products can replace the standard copper wire products we know today. That means WesBell, whether they chose to or not, may soon have to get rid of the old products in order to stock the new products. WesBell has been thinking about investing in a second location on the west coast to minimize transit times to customers and to increase the size of their facility, both of which were weaknesses in their SWOT analysis. "Whether or not you're passionate about your business, it's important to be realistic about the chances of a second store actually succeeding. The way to discover whether or not your business will prosper is to observe the market, research your competitors, and analyze the mood. (Smith, 2011)" Interest below 3% only have one way of moving that will affect the bottom line for WesBell, which is up. A sizable investment for a second location should be considered with a higher interest rate in mind. Carrying cheap debt is wonderful, but it needs to be paid off if it's not affordable at double the cost (6%). It's only a matter of time before interest rates go up in the future, and cause panic, so they could skyrocket during the time of panic in the world. It would be better to enter this investment with a sizable amount of cash and a plan to pay off the debt, rather than taking on large amounts of cheap debt only to see the cost go up in the future. The interest rates will also affect the other assets that WesBell carries with debt such as technology and automation. The price of copper is starting to swing upward again at the end of 2016 which can quickly lower inventory levels for distribution. Inventory will become more expensive and selling will be more competitive. Depending on when distributors buy inventory the cost levels of the same products will be quite different causing confusion for end users. Distributors will often buy from competitors because their resale price is cheaper than the current manufacturer price. As the copper price fluctuates WesBell will have to adapt to the trend in order to stay competitive in the industry. 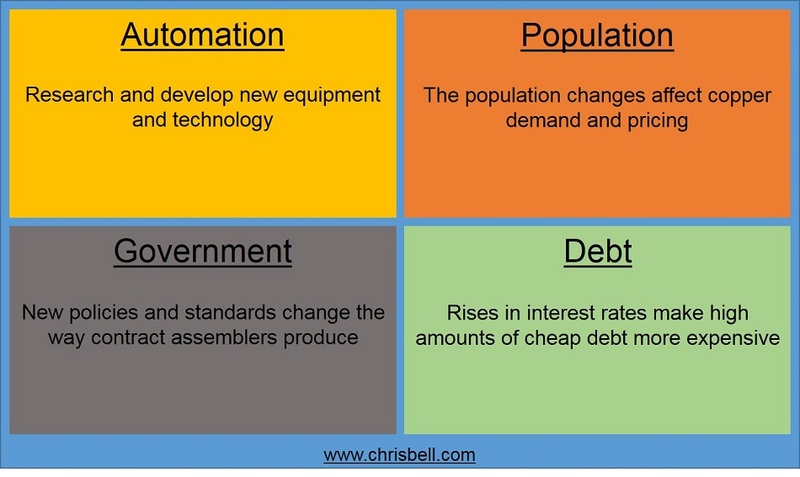 These trends could affect the sustainability of WesBell in either direction depending on how they react to each trend. A level mixture of each opportunity will allow them to sustain their customers and gain new customers, but a slight turn in the wrong direction could hurt them severely. If WesBell chooses to sell the same products that they have for years instead of adapting to the environmentally friendly products they could lose a share of the market. If WesBell chooses to take on a large amount of cheap debt in order to invest in new ideas they could lose another share of the market due to the additional expense of debt when interest rates rise. If WesBell doesn't change their buying patterns as the price of copper increases and decreases they could hurt their cash flow and easily decrease profit margins. Add all of these factors together and one can see that Business A could go bankrupt while Business B could prosper by adapting to new trends. If WesBell wants to sustain a competitive advantage in the industry they need to adapt in the right ways through careful research and assessment. WesBell has proven that they can adapt and sustain in the past through the investment of new technology and automation. They built a strong website in 2005 and continued to grow it throughout the years. They created a new website in 2016 that not only sold products but also sold services to prepare wire and cable before shipping it because numerous websites started to look and act the same. WesBell has the first website in the industry to sell services to wire and cable. They also buy new equipment and update their ERP database system when it provides faster speeds and better quality. The past actions represent the future actions which leads me to believe that WesBell will continue to invest profits into assets that will sustain and improve their competitive advantage within the industry. Aristova, N. (n.d). Controlling automation level in robot production. Perfect and stochastic schemes. Automation and Remote Control, 75(9), 1637-1645. Kacperczyk, A. J. (2012). Opportunity Structures in Established Firms: Entrepreneurship versus Intrapreneurship in Mutual Funds. Administrative Science Quarterly, 57(3), 484-521. Mithas, S., & Rust, R. T. (2016). HOW INFORMATION TECHNOLOGY STRATEGY AND INVESTMENTS INFLUENCE FIRM PERFORMANCE: CONJECTURE AND EMPIRICAL EVIDENCE1. MIS Quarterly, 40(1), 223-226.